If you hang here a lot, you already know that since launch, we have been a bit preoccupied with sleep: why it matters, how we can do it better, and how our cultural history has shaped our present attitude toward sleep. And in our latest episode, we talk about the importance of community and sleep for the super-vulnerable (and super sleep-deprived) new mamas. And then of course there's everything that's been happening in the world lately. Whatever your politics, recent events have undoubtedly rocked your world, because they are rocking the planet. Everything is in flux. Policies are changing (FAST), deeply-held beliefs about how the world works and how we all fit into it are being challenged and upended. Many of us feel uncertain and afraid. In times like these, is it a bit of vapid vanity to be writing about how to get a better nights' sleep? Is digging into the latest research on clean skin care (coming up!) and getting to grips with diet and nutrition (coming up even sooner!) a waste of everyone's time? So here's my take - this is me, Kari, the creator, producer and voice of Life Butter, jumping in in a personal way to make the case for why wellness is more important than ever. When I started to put together the idea for this site and my beloved radio show (which I am enjoying so much), I wanted to make sure that I was going deeper than your average facial 😕 I wanted to create a thoughtful space to both celebrate (yes! it is fun, after all) and consider health, beauty and wellness - what these things mean to us as individuals, and how they fit into this new society that seems increasingly obsessed with them. When doing my research for the framework of the podcast, I came across a beautiful mini-documentary by British Vogue called What is Wellness. Shot in sunny LA and narrated by a model for Reformation (an LA-based sustainable fashion brand with a gorgeous aesthetic), it's easy on the eyes. But it's not just that; in the opening episode, narrator Camille Rowe gets to grips with the genesis of the wellness movement back in the '70s (history angle coming on strong...that is my thing, after all!). Speaking to John Travis, she learns that for this OG wellness guru, "the currency of wellness is connection" - it is community that is at the heart of what "wellness" is truly about. This ties in with the observations we made in Episode 5 of Life Butter Radio; new families in the West are often under an immense amount of pressure and under-resourced. Where are our communities these days? Are they the private FaceBook groups we join to discuss our business ventures, hobbies or organise baby clothing swaps? How often can we see family when they live far away, when our holidays are brief and polluted with the need to keep one eye on our phones, and when we are always just so busy and tired? We really need to help each other, because we really are so vulnerable. And helping ourselves? This is truly part of it. The time immediately after I had my son was dark and strange. My boy was born in December; the days were cold, largely sunless and lengthened by his seemingly ceaseless reflux-induced cries. Family was far, but I was the grateful recipient of help from friends, health workers and the care system I had put in place before he was born. Now, these are the memories that come to mind when I think of that time. In my case at least, those few bright points stand out far more than the murky monotony of a difficult day-to-day. The real, tangible effects of good food, sleep and self-care convinced me of the magic of wellness, and it spurred me on this quest to discover the easy, fun and effective practices we can both incorporate and love in our own lives to put us in the body and mind to enjoy our lives, and each other. But it's become increasingly clear to me that the real heart of health and beauty is not just how we related to ourselves, but how we relate to each other. This week more than ever, REAL community is what I crave. I urge you to find and care for yours. All this makes me think of the ending of one of the only television shows that I've bothered to watch from Episode 1-finish: Mad Men. That final scene (and spoiler alert, though whereyoubeen?) with the iconic 1971 Coke ad is everything - that hippie-hippie love-in isn't usually me, but it's what I'm craving right now. Not in the "coming together for commercialism and big business" sense, but in the idea of sharing something simple, fun and innocent. I invite a kombucha company/Sakara Life/MoonJuice or similar to do a riff on this! So find something that genuinely makes you feel good; latch onto it, and share it with someone. Invite a friend over for a sleep-over. If your sister lives half a world away, have a spa night with her over FaceTime. Treat your partner to a 2 minute massage before bedtime. Swap the news (real or fake) for a conversation. Observe how you feel. And then get ready to come back here, because I am on a quest to figure out what makes us look & feel our best, so we can go out there and create the best. And I can't wait to share it with you. Also check out these posts by Gala Darling and Louise Androlia on how to handle the media and ourselves in this climate, and why radical self love (Gala's baby) is more essential than ever. In the spirit of all things nourishing (which, in case you missed it, is our theme of 2017), we thought we would open the new year with an exploration of food - always a fun topic, and hopefully one of the most nourishing aspects of our lives. It's bizarrely easy to forget sometimes, but that really is the point! So we had a little look at what 2017 is projected to bring to our plates, and we were inspired to both laugh and wonder at everything the food industry is dreaming up. Kale. Bee pollen. Acai, Goji berries. Moringa powder. You might think that you have modern day superfoods nailed, but I would invite you to THINK AGAIN. So get ready, because the hotlist of 2017's hot foods (N.B. very few of them are actually hot) is in, and they are as wild as they are wild. Remember when life was simple and you just had to fit some dark leafy greens to be a supercharged food hero(ine)? The power is still with plants, but not necessarily your garden-variety. Not in their raw, virgin & untouched state, anyway. Enter the ferments, the vinegars, the cultured substances and the just plain substances -- weed & 'shrooms are making a comeback, alongside, well, germs (for real, many of 2017's hot foods are basically carriers for bacteria). First up, we have vegetable yogurts - a way to get both one of your 5-a-day (which turns out should actually be more like 7 or 8), plus some of those healthy gut bacteria that we should all be cultivating and caring for, now that we know that our immune system is really housed in the gut. And of course you should always save a little for a face mask - seriously, yogurt works wonders topically for the skin. Not sure if there are any added benefits in say carrot yogurt, but it does show how versatile and interesting vegetables can really be! Kimchi and sauerkraut have been hot for a while, and don't expect them to go anywhere. As the benefits of cultured vegetables (think pickles and ferments) continue to be studied and understood, these foods will increasingly become part of our daily routine. The purported benefits are a stronger immune system, better digestion and, in the words of Amanda Chantal Bacon, "happy glowy face." She has also said that incorporating cultured vegetables into your diet can help kick your sugar habit. (check out this presentation for details). We've been incorporating more kimchi into our diets, and you know what...there may just be something to this! Glow like Moon Juice founder Amanda Chantal Bacon with the help of fermented veg. Everyone is always talking about eating the rainbow, and colour is as nice a theme as any for a hot food trend. So with that in mind, we will apparently be eating more purple food in 2017...think less Koolaid (is this still around? Anyone?) and more purple cauliflower, purple asparagus, purple potatoes, purple broccoli and even purple corn. In line with this trend, beetroot will remain a mainstay, and be employed in the ever-advancing ranks of inventive meat substitutes. This burger is straight out of Silicon Valley and backed by Bill Gates himself. It apparently bleeds beet juice, and it photographs like the real deal. I'm intrigued! And speaking of celebrity-funded food experiments, the watermelon juices we've been seeing in grocery stores are predicted to rise in popularity; apparently Beyoncé is an investor. We personally tried some of Moon Juice's combinations (available in the UK here) while back in the US at the end of last year, and while we were initially sceptical (to say the least), we were surprised to notice a real different in our energy levels and skin clarity. And this was over the holidays, when healthy habits weren't quite the priority they normally are! Looking into this a bit more, we've come to understand that at least some of these mushrooms and herbs are routinely employed in Chinese medicine, and have been for years. So needless to say, we will definitely be boarding the mushroom train in 2017, and look forward to sharing more as we learn. We have something very special in mind for Life Butter Radio in particular! Whether any hallucinogenic mushroom varieties will ride the current '70s revival back into popular culture remains to be seen! Finally, we have the return of MJ, which has received a lot of attention from the wellness press over the last few months as more and more places in the United States legalize its use. We've seen articles on how it can help everything from depression and anxiety to PMS/PMT and pregnancy, and an exploration of all the different ways you can partake. And "weed chic" is apparently a thing in California. We predict that the fascination with all things hemp will only continue; the ebbing stigma around cannabis in the United States invites inventive foodies and the wellness community alike to harness the power of this plant in new, inventive and potentially lucrative ways. The Business of Fashion suggests that the drug could be the luxury industry's next big opportunity, as we increasingly look to spend on experience over "stuff". If Keeping Up with the Kardashians is any measure, I think they may be right. Now if you're not uber wealthy, but you're curious, you love chocolate, and you are based in the US, you can dip your toe into this trend without going anywhere near bong waters: enter Sakara Life's hemp chocolates (formerly CBD chocolates). These feel-good, bite-size chocolates contain "hemp extract" (CBD oil - read a bit here), and have been marketed as a substitute for your nightly glass of wine. We'll admit it, we gave these a try too last time we were Stateside - when, we should point out, the ingredient list read "CBD oil" rather than "hemp extract". But we have confirmation that the formula is in fact the same and the label change is more of a marketing exercise. How how did they work out? Well, we aren't sure that they had any special, relaxation-inducing powers, but they are organic, vegan, tasty and portioned in lovely, 11 -calorie-a-pop little nuggets of gorgeous CHOCOLATE, so what's not to like? We thought that these had disappeared from the market since Christmas 2016, but we discovered that actually Sakara Life is selling them with Amazon! So now you can add to basket and these can arrive with your latest reading, diaper haul or what have you. No one needs to know, and given the wide distribution channel, it will be easier than ever to get your hands on these, wherever you are in the US. We all love nut butter (well some people don't, but they are just WEIRD). Sometimes though you want something just as satisfying but a bit less stodgy, a bit thinner...in which case, have you tried seed butters? They've been around for a while, but are predicted to multiply like bunnies in 2017. New varieties are cropping up on supermarket shelves all the time, and if you are US-based and addicted to novelty, you could hop on the net to try Sakara Life's watermelon seed butter. We have to admit to trying and loving this one over Christmas; it's pretty mild and would appeal to those who don't like a strong nutty taste. Finally, while I personally think bread and gluten are well up for a resurgence, the alternative pasta scene isn't going anywhere. So you can keep your spiralizer or, if you crave a bit more substance, try pulse-pasta: think lentils and beans turned into your favourite shapes. A little more satisfying than all the corn and rice varieties, and these variations have the bonus of some protein! I'll be really interested to see how the restaurant scene continues to evolve in 2017 too. Increasingly, fine dining seems so passé...I think diners still want and expect a bit of a scene, ambiance and occasionally some glamour, but are really more interested in the food - both the flavour and provenance. We'll see what this ever-changing landscape serves up next - we can't wait! So whether you are at home or dining out, get ready to go all Wild & Crazy with some veggies. At least these superfoods won't stain your clothes quite as badly as your average green smoothie or juice, so you can dress in homage to the original Wild & Crazy guy and go all white! It's all over the internet because it's all over our brains: for one reason or another, many of us feel that 2016 let us down. So while I think generally the idea of New Year's resolutions seems a bit passé in this time of perpetual self-improvement where September has been dubbed the new January, there is definitely a mood of out with the old and in with the DRAMATICALLY BETTER. But what's the framework? A list of 10 things you want to achieve that starts with Kayla abs seems silly and actually a bit shallow, given that most of us have our eyes and hearts focussed on much larger issues at the moment. Beyond that, fitness seems to have finally shifted from that thing you get fanatical about this time of year or right before your beach holiday to something that is aspirational on the daily. Ditto healthy eating - whatever type of beautiful bowl/smoothie/poached egg & avo concoction best best symbolises that for you & your wellness tribe. But this is not a post about snark, not at all. This year wasn't all bad, and I actually think this next week or so is a great opportunity to sit back, put on your rose (gold)-tinted glasses (seriously, was there another colour in 2016? ), and look back with curiosity, generosity and awe. As anyone dabbling in modern day wellness knows, it's very Zeitgeist-y to mention a full moon or an errant planet as part of a discussion of Who We Are and Where We Are Going. And there has been a particular focus on looking to the stars for guidance in processing and understanding the last 12-18 months (or maybe this is just what happens when you move from London to Los Angeles). Now I'm not exactly an astro-babe myself, but there's a celestially-inspired discussion circulating around the close of 2016 that has piqued my curiosity, and ties in with my own view on the end of this crazy year. That would be the resurgence of Mercury Retrograde, a time characterised by chaos, technical malfunctions, miscommunications and generally thwarted plans - at least according to those in the increasingly-popular astro-world (is it just me, or has the new-New Age suddenly become very mainstream?). And this upheaval will last until January 8 of 2017 when Mercury changes course. Seems rather doom and gloom, but here's what I like about this: firstly, there is the romanticism of observing the grandiosity of the cosmos and brooding over what its signs may mean to the individual lives of us earth-bound mortals. What can I say, I'm not exactly a believer, but I think the merch is cute (if expensive - this one is for my next life as an heiress). Secondly, I also like the call to acknowledge greater forces at work in this world (even if I would pick a different focus ✝). Some astrologers describe Mercury Retrograde as an invitation to reflect, reminisce, study and learn from the past. I am the original history nerd, after all (watch out for Episode 4 of Life Butter Radio...seriously, it's going to be a gem). So I think in some ways, it's fitting that this astrologically-ordained time of reflection, consideration and tidying away corresponds with the end of 2016. With that in mind, I plan on taking a leaf out of this blogger's book, and using this time before the new year to take stock of 2016 and acknowledge it for the period of power and transformation it was, leaving us stronger, more thoughtful and aware - ready to either take on or celebrate whatever comes next. So what does that mean for me? Well, 2016 has been a pivotal year for me in a lot of ways...between a career change, coming to grips with motherhood and lots of travel (as always) there has been a lot of change. If I could sum it up in word, I would pick LEARNING. This has not always been an easy or pain-free process, but it has undoubtedly been transformational. I've grown so much, and I now have the perspective to appreciate that. So thanks 2016 for the lessons! And when the clocks strikes 12 and the last of 2016 slips away, I'll be at home with my nearest and dearest and some fizz, and getting ready to demarcate the start of 2017 in a more traditional, goal-oriented way. More on that soon! The road to hell is paved with good intentions, and it's all too easy to find yourself in bed with a spinning head, especially this time of year. So here are a few strategies for times you know you're going to be out, and for when you've had more than you intended. Because we all know that though a green juice/vitamin infusion or coffee/fry up (as per your preference) can help the next day, the only real cure for getting over the night before is sleep. So here's how to get the best sleep when you need it the most. You're going to a birthday or, given the time of year, the holiday party. You're going to be eating late, eating all the things, and drinking ALL THE THINGS. So first can I say: just own this. Be unapologetic and excited because, for all the charm of hygge, these exist for a reason! BUT, maybe it's a Wednesday, & you're going to work in the morning. So you want to rage but not to the point of destruction. Ok - let's go. Painful as it is to admit, we all know that prevention is better than the cure, so if you really want to hit the pillow feeling good, this will involve some self-control that may, depending on your temperament, take you a little bit out of the moment. Still, I think you can have fun while being, dare I say it, mindful, but you need to acknowledge that you will need to think a bit about your choices. Pretty much true of anything in life. Now, how do we make this easier? Can I suggest that you make an effort to go to the party in a good mood? It may seem obvious to say this, but you are going to be so much less likely to arrive & immediately drink 2 glasses of prosecco if you have left work (or whatever) stress behind, aren't hyped up and feel content. So maybe try to fit in a yoga session (if that's your jam), exercise class, some sweet tunes, or anything that makes you feel good before you go. Because if you go relaxed and happy, it is going to make it so much easier to have the experience you want to have, and make choices that will set you up for a better night's sleep and following day. If you even suspect that you may struggle with this, or you are actually hell-bent on destruction, maybe rearrange your schedule so you don't have important meetings or work assignments to tackle first thing the next day. And if you do get caught getting unexpectedly trashed, and you end up eating pizza at 2 AM dancing in your pants (true story), it is OK! I feel like these days so many of us are afraid to let go and enjoy ourselves, and would rather feel consistently good but maybe a bit stultified rather than occasionally OOC and silly. As long as you aren't a jerk (and maybe you don't use your camera phone), it's ok to go for it from time to time! So with all that in mind, your evening. If you want a sugary cocktail (YES), try to just have 1 (or so), and really, really enjoy it. Honestly, that is the key to anything related to moderation and health. If you really take your time and enjoy your food and drink, you'll probably end up consuming less and have a better chance of staying on track than if you slam a few drinks quickly upfront and try to ease off as the evening goes on. You can also feel very chic and French (right? Seems like a French thing to do). After that, low(er) sugar cocktails like vodka soda are your friends. If you like coconut, you could try something like this. Keep drinking water, of course - alcohol is a diuretic so it's dehydrating, and dehydration makes you feel like crap (simples!). You may have to hunt down the H2O, but water at least you can chug and then discard, or, alternatively, disguise as one of those boring cocktails so no one is the wiser. If you are at an epic dinner, you may have to watch overzealous waiters or hosts who constantly top up your glass...this is where you are taken slightly out of the moment, which is a bit annoying, but I've been caught too many times having no concept of how much I've actually had to drink because the level never dips below half a glass. You'll need to pay attention to how you're feeling, and gauge when it's time to back off. If you are veering dramatically off course, one of your friends or partner may be happy to do this for you. Winky-face. When it comes to food, anything fatty, spicy otherwise difficult to digest will make sleep harder, so just be aware of that. Those of us who are based in the UK know that these parties can start early, so you can try to have anything particularly indulgent early on (which is when you're in best shape to enjoy it, actually). if it's late, go easy. If you don't think you'll be eating much but do plan on drinking, a good trick is to eat a big spoon of nut butter just before you go out. It won't bloat you, but will line your stomach and should prevent you from feeling trashed after 3 sips of champagne. I love this one, this one and this one - which is great for on the go, travel & kids. If you ate early or not a lot and you're peckish before bed, you obviously want things that are easy to digest. Simple sugars will help restore blood sugar levels and make you feel better; the banana is a classic for a reason. Honey & toast is recommended too, but I personally think it's too easy to go crazy and have a million slices when your self control is low - a single piece of fruit works better for me. Once you're home, try to drink a large glass of water and take a magnesium supplement (I love this one); magnesium help us sleep and it also calms your muscles, promotes good digestion (go easy, it's powerful stuff) and can help clear your head in the morning. A friend shared that for strategic celebrating she sometimes drinks a bottle of pedialyte (UK equivalent) before and after she goes out, and that it wards off the hangover like a talisman. I can't personally vouch for this remedy, but it sounds plausible. Try to make sure your room is cool and dark, and turn off your phone. We've all been there; you go to lie down, and the room starts spinning. If it's so bad that you feel slightly sick or really dizzy, just get up. You're not going to get any rest yet. Don't panic though, just find something you can do to pass the time. For a variety of reasons, but for the purposes of this article we'll focus on its effects on your sleep, don't get on FaceBook. Or Instagram, or Twitter, or your tv. Also don't sit there obsessing about what you said, to whom and how someone looked at you with a weird expression on their face. Distract your brain from destructive thoughts like these (what can I say, I like muscles). Just try to chill out - listen to some music; if you can focus on a book or some easy, repetitive task like colouring (never tried it but some people love it! ), do that. This may not be the time to get in the bath or light a candle, but you can still try find a calm space with soft light to chill out in until you are feeling like you can lay down. Of course you may have passed out immediately, only to wake in the middle of the night. That's because of something called the "rebound" effect - basically once alcohol is out of our system, we are rocket-launched into lighter sleep where we are more likely to wake. This is why it's better to stop drinking way before you hit the hay - all the alcohol is already out of your system. But that ship has sailed. So if you do wake at this time, your brain may be going crazy and you may feel super anxious. If that happens, I've found it most helpful to simply recognise that this is what is going on, and that I may have to ride out some internal brain craziness. If it gets to be too much, you can get up and read a book for a bit (maybe something like this rather than this) - I've found that my brain is calmer once again in the very early morning, and I can usually get back to sleep then. I personally don't think meditation is going to work in this scenario; your thoughts will just be too all over the place. But monks pray in the middle of the night and apparently the rest of us used to do this too; so that could be a centring practice as well til the craziness passes. Do try to get some more sleep though rather than simply starting your day at some insane hour. You will feel so much better if you can get a few more hours. Finally, remember that often the best memories are made when we've been able to loosen up and revel a bit. Try to be kind to yourself, but learn from your experiences too! They more we get to know ourselves, the easier it is to manage how we feel, which is what this whole wellness thing is really about. Word on the street is that we should be getting into our PJs an hour before bed to help us mentally transition. Or maybe I've got that wrong, and I'm just seeing more high-end PJs actually on the street. Anyhoo, the thing is, I already tend to wear my PJs much more than that...I love a pair that are great for lounging, snacking, TV-ing...but not shopping. (Sorry America). But I don't judge - particularly since, yeah, those silk varieties have been street style faves for a few seasons now! So whether you are skipping through the streets or owning your sofa, here are some of my faves. Modern day Jane Austen. So pretty. And for dec babies - which is apparently what Mariah Carey used to call her twins. What can I say PJs make me think of Mariah. Everyone loves an excuse to indulge in a new set of pyjamas and other cozy essentials (especially this time of year), and so I thought it'd be fun to quickly catalogue some of my faves, as well as a thing or two that can help make bedtime a bit more fun. Part of the appeal of sleep as a health and beauty aid is that it is free, simple and, if you are getting enough, enjoyable. So as we learn more about why sleep matters and how much it can do for us (which is really incredible; if you haven't listened to our podcast that tells you a bit more about why, you can do so here or here), I hope we won't try to make this more complicated than it is. The fact that so many of us ARE sleep-deprived, however, means that we really could be doing this better. And it's easier to prioritise something that you think is fun and rewarding, or that you have invested in (see also, investing in cute workout clothes). 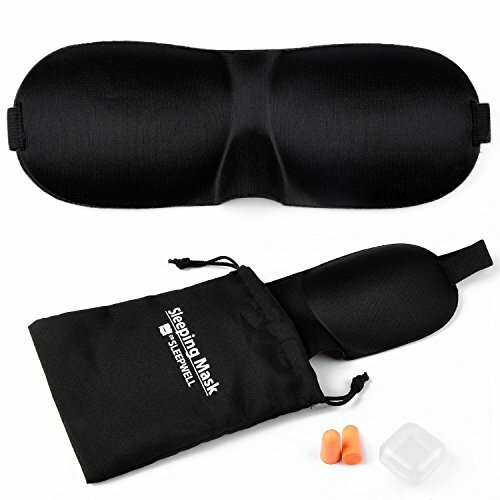 So with that mind, here are a few sleep-related toys and joys that actually work to help you on your way to dreamland, and make the whole winding-down to bed process more appealing than everything else that's clamouring for your attention. Watch out for the best of PJs in our next post. 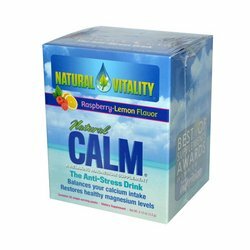 Natural Calm magnesium supplement- this is far & away my best sleep tool. Magnesium is a proven sleep aid, & this sugar-free supplement makes me drowsy quickly. I take 1 large dose 40 minutes before I want to sleep and it WORKS. LOVE it. The travel version - these sachets are great for the plane & help both sleep & digestion, which can be sluggish after flying. 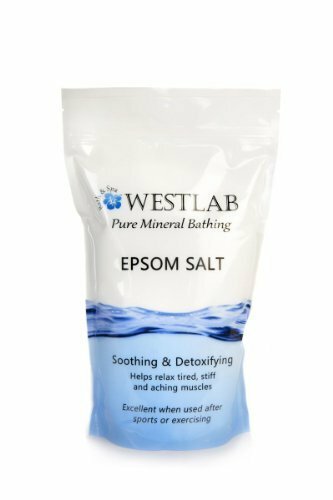 Epsom salts - magnesium can be absorbed through the skin, so pop a large handful into a warm bath & get ready to feel relaxed & sleepy. Maybe not for every night, but you can also file this one under IT WORKS. The best face mask - essential when mornings start early (so not this time of year, but highly relevant in summer). Also great for flying; this version does crowd the eyelid so there's no pressure. Comfy & effective. 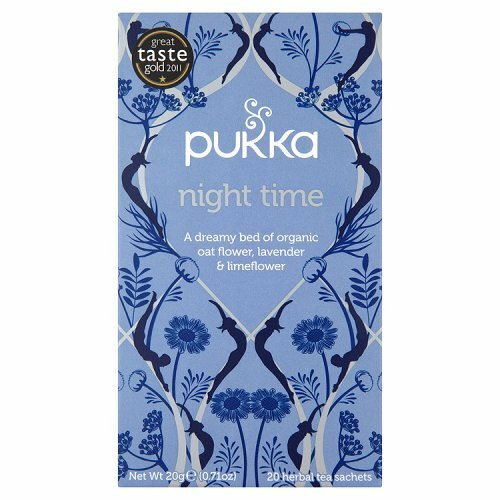 Pukka Night Time tea - a perennial favourite for a reason; it's not stimulating but is comforting. 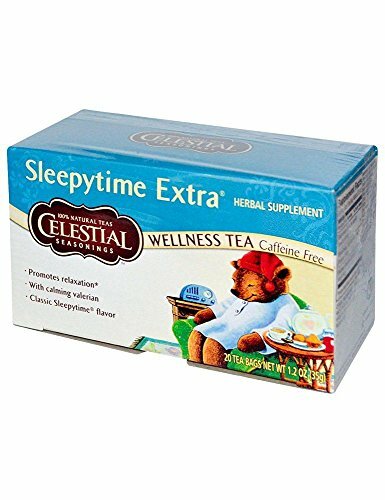 Sleepytime Extra - the American sleep tea. I can't say I like this one as much, but some people swear by it! Thisworks Deep Sleep Pillow Spray - I received this as part of a new mom gift pack. The idea is that the calming scent of lavender will send you to sleep. It didn't always do that for me, but it definitely helped with new mom anxiety. 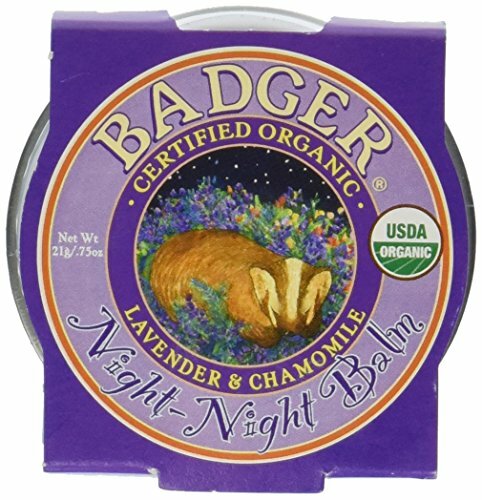 Badger Balm Night Night Balm - I actually prefer a balm to a room spray because you can control the strength of the scent better. This one is really nice and organic, and apparently ok for kids too! This one comes in interesting scents and pretty packaging (there's a copper shade too). Candlelight is soft and flattering; definitely gets you in the mood for bed! 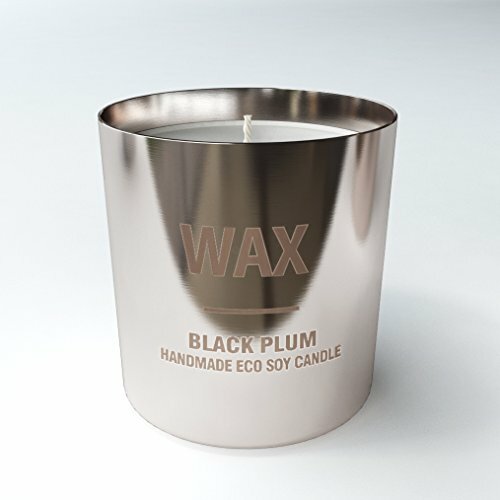 Soy candles don't emit the same acrid smoke as paraffin candles and are more eco-friendly too. I love this so much guys. 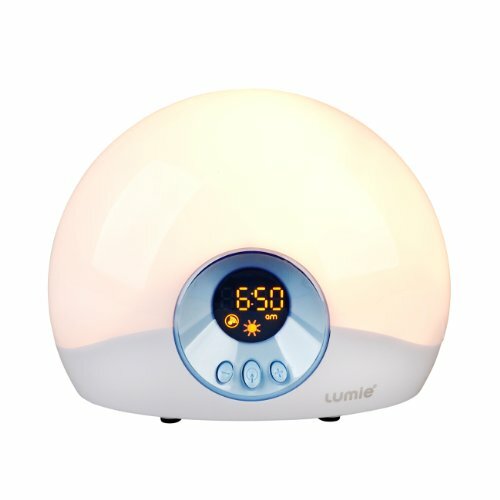 It wakes you gently by slowly building a glow of sun-like light 30 minutes before your wake time. If that doesn't rouse you, a gentle tone goes off. A much better way to wake up than the iPhone. Anyone? Yeah, us too. But...why? Work/study/children/travel/friends/stress, or probably some combination of those. Between our increasingly fast-paced lifestyle, our cultural devaluation of sleep and technological innovations that make it practically possible to be UPALLNIGHT mean that sleep seems to be the first thing we cut in our efforts to get the most out of our days. But the tide is turning; the importance of sleep to everything from how we look, to how we perform - in any arena of life, to how we feel and treat each other is becoming increasingly apparent as sleep research evolves. The message is clear: sleep matters, and, according to some, so much so that nothing less than a REVOLUTION in how we structure our days (and nights, and our homes, for that matter) is under way. We never really gave that much thought to the fact that we were a little tired...isn't everyone? But Arianna Huffington's call to arms is a pretty dramatic demand for a re-evaluation of not only how we sleep, but how we live our lives. And so over the next few weeks, we'll be looking at the "why" of sleep importance, and "how" of sleep optimisation, always from the perspective of someone who wants to have her cake, and eat it too. Check in and cuddle up for an expo of the world of Zzz.